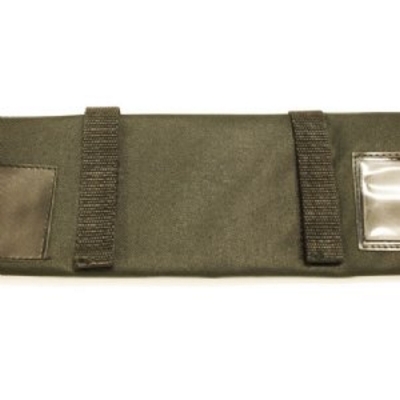 Our three pouch knife roll was designed and constructed for professional knife users. 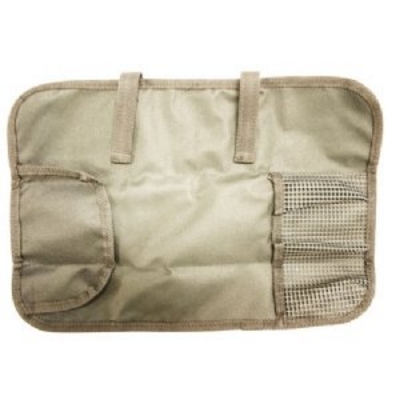 Mad Cow Cutlery knife rolls use only high quality materials for lasting durability. 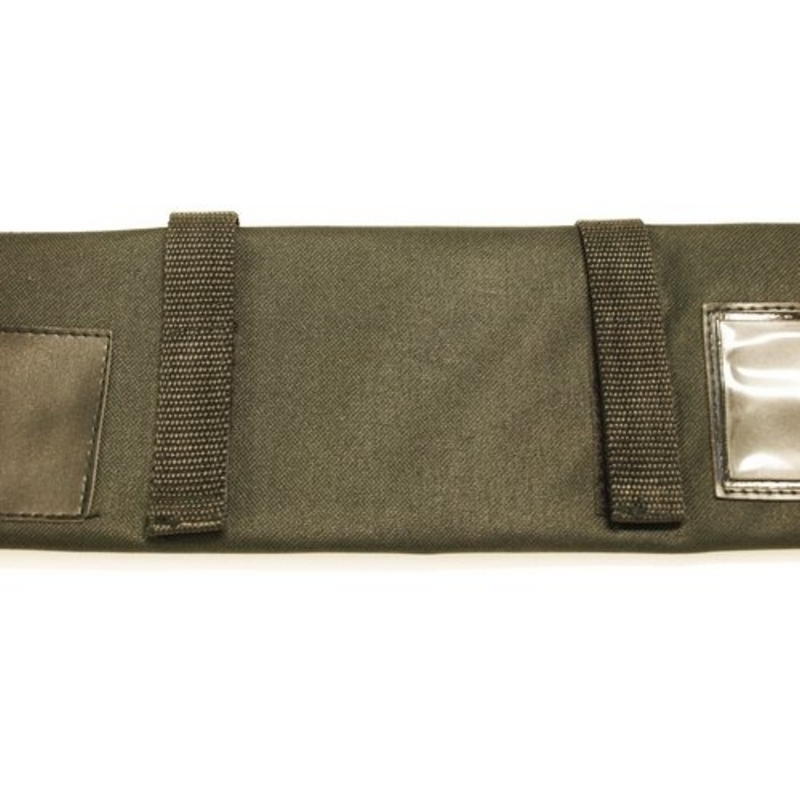 A cool and unique feature in our roll is the use of heavy-duty rubber webbing to form the knife pouch to securely hold your knife handles. 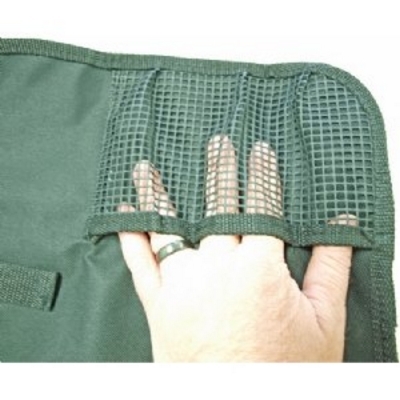 Holds most knives with blade lengths up to 12" with a little room to spare if a blade guard is used. Roll Width (when open): 13"
Exterior also has patch for attaching labels, stickers, or team logos. 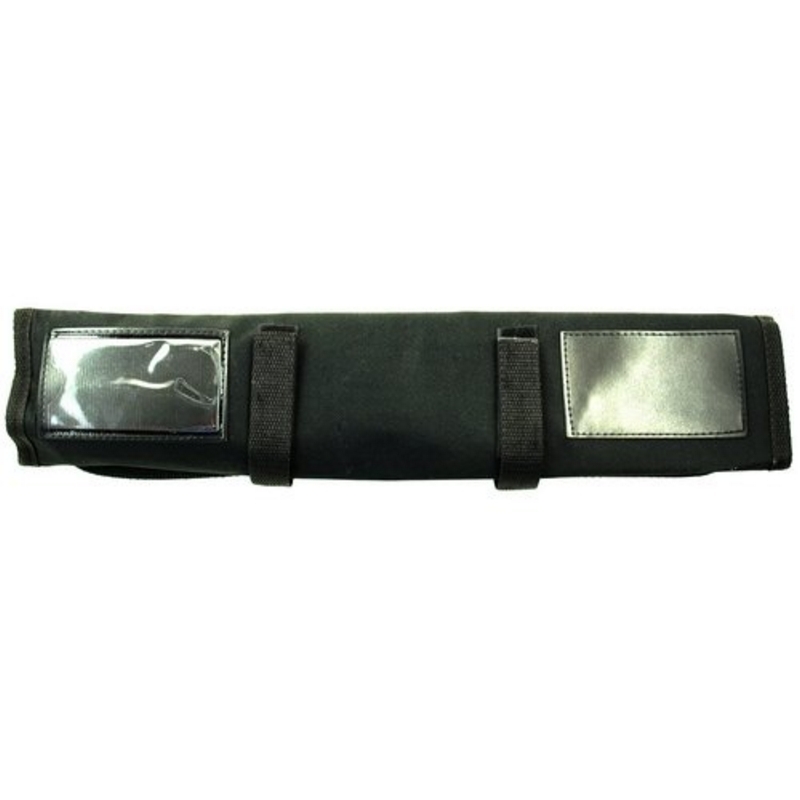 The other side of the roll includes a clear card/name tag slot.